Gurtam Partners quantity increases every day. At the moment Gurtam cooperates with more than 500 companies and almost each of them has certain questions and suggestions to our specialists. We respond to partners’ questions by e-mail and telephone, participate in the forum discussions, organize the conferences several times a year – and from this moment we’ve decided to start clarifying the most acute and important issues in a special section on Gurtam Weblog. On Gurtam forum in partners section a special topic “Hot Line” was opened. Any member of the Gurtam Partner Program can ask questions and get the answers from the company management. In today’s post Alex Shchurko, Gurtam CEO, answers questions concerning the results of the April Conference, the development of Partner Program, the probability of Wialon Hosting discounts, the possibility of specialists’ certification by Gurtam, the prospects of agency agreements signing and the maps updating process. – Alex, how do you assess the conference results? What did you appreciate and what not? – In general I’m pleased with the conference results. During the first half of the day when Gurtam Partner Program was being discussed time passed in emotional and intense atmosphere. After the afternoon when the innovations of Wialon Hosting were discussed the atmosphere was very positive in contrast. At the same time I was greatly unpleased and disappointed with the fact that some of our partners were very reticent. Moreover, this event was positioning as the meeting of colleagues but the open format of the conference wasn’t supported that resulted in competitive behavior of our partners. But fortunately the coffee-break communication was quite active and friendly. By the way the informal part was great and I’d like to express my gratefulness for all the efforts AGROshturman has made helping in this event organization. To sum it all up I’d like to admit that our partners businesses grow rapidly, the projects they work on are becoming bigger and bigger. And it’s great! – Gurtam Partner Program has been discussed a lot at the conference. Will the terms and the scoring formula be reconsidered? – We are not planning to reconsider neither the basic principles of Partner Program nor scoring formula in the nearest future. However, we’ve taken into consideration all the participants’ comments. The Partner Program will be developed and optimized according to the market situation. To my mind the main problem we’ve identified during the discussion of Partner Program was that Gurtam partners perceive us as the third party arbitrators and expect us to resolve various debates and quarrels that occur with operators or while dealing with customers. I want to emphasize the fact that we are not going to do that. First of all Gurtam is a software developer and according to our policy we don’t work with the end-users. Once again I have to stress that when we receive the requests from customer or dealer, Gurtam specialists try their best to persuade them not to change the software vendor and continue to work with our partner from his region. But when irreconcilable differences occur during the request correspondence Gurtam reserves the right to cooperate with the requester directly. I’d like to admit that the Partner Program has proven its successfulness, it is beneficial to all the participants (almost 150 companies) and does not require any effort from their side. – What can you say about Wialon Hosting discounts and the possibility of specialists’ certification by Gurtam? What will be implemented first? – The competition level on satellite tracking market is increasing and Gurtam regards Wialon Hosting discounts as one of the options to improve the competitiveness of our partners. At the moment we’re calculating the possible terms of discounts and it’s most likely that the next year Gurtam Partner Program participants will get the same discount format for Wialon Hosting as we have for Wialon Pro today. Specialists’ certification gives us the possibility to evaluate the knowledge level of Wialon. Next year one of the prerequisites for Gurtam Partner Program participants will be the certified professional presence, especially talking about the upper levels of Partner Program. Most likely companies willing to pass the certification should pay for it. Our expert will visit their office and perform the certification process. In any case all possible innovations scheduled for 2013 will be announced and presented at the Partners Conference that would take place in Belarus this autumn. – Could you, please, explain more about the introduction of a common CRM system or other Gurtam control instrument? – Gurtam is the operator of the lower level i.e. the operator of the operators. Our partners develop their own business, it’s up to them to choose the development direction and movement conditions. This business model has been chosen during the moment of company foundation and it has already proved its effectiveness. So, I don’t see the point to change something. We’ve never limited our customers and will not do it in the future. At least those who use Wialon Hosting and Wialon Pro. – This question is from Gurtam forum topic “Agency Agreement with Gurtam”. Will this contract be implemented and, in case the answer is positive, tell us more about the terms and conditions, will they differ from the ordinary conditions of Wialon Hosting lease? – Unfortunately in the nearest future we can’t expand Wialon Hosting under the agency agreement due to legal technicalities. But at the moment we are consulting lawyers and are looking for the opportunities and options to use our telematics license and our communication center by Russian partners. Let me assure those who bother: we have taken all requests into consideration. As soon as something clears up Gurtam will let you know at our Weblog or on the Partners conference. 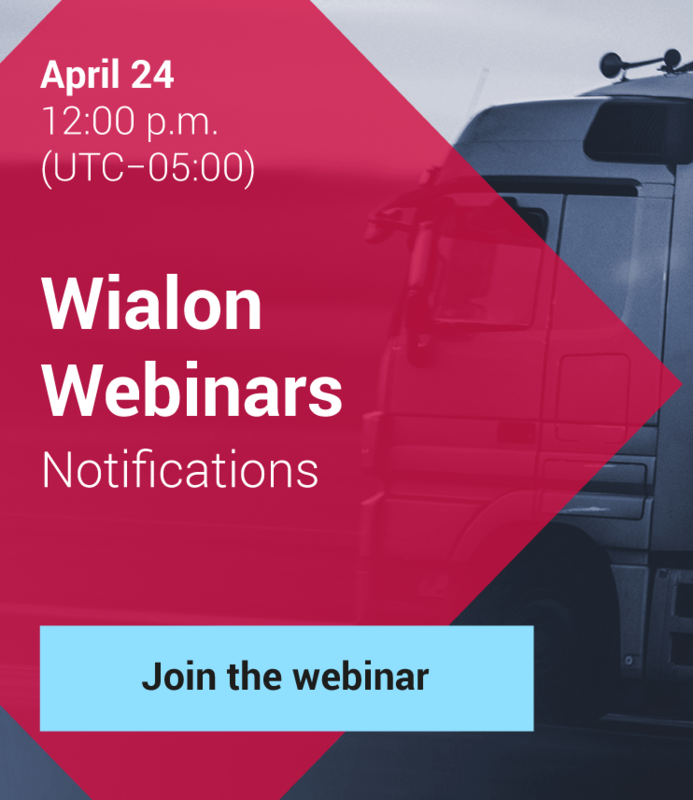 – The next question concerns Wialon Hosting updates. Will the address database be expanded? This issue is especially acute for Cheboksary, the Chuvashia Republic. – In the nearest update of Wialon Hosting the new Geographic Information System Gurtam Maps will be presented. It is more up-to-date and quicker than the previous one. But the main idea remains the same: we are trying to keep Gurtam Maps modern and of a high quality. But as Gurtam partners operate on all continents, sometimes it’s not so easy to find high-quality maps in Minsk. Relevant and detailed maps of the particular area are the competitive advantage of certain GPS/GLONASS tracking operator. Traditionally the mapping issue is solved by joint efforts of Gurtam partners who provide us with maps and our specialistss who adapt them for Wialon uses. As this issue is very important to our partners, we can recommend the following solution: partner finds a finished map basis or hires special specialists to draw it (it’s quite easy and not so expensive). Gurtam in turn will help to adapt and implement new map so as it would be available only for certain Wialon Hosting users. – Could you please clarify the issue concerning the sufficiency of Partners number in the region? For example, there are three partners in one region. What are the criteria that determine the need to increase the partners’ number? Or Gurtam suspends the new contracts singing, does it? – Gurtam doesn’t see any reasons to suspend contracts singing in the regions: such situations are normally regulated by the market. The only appropriate measure we see is to make the market entry barriers more difficult for those small and medium-sized companies that want to work with Gurtam directly. For example, the number of objects in expansion packs should start from 100, 200, 500 or even thousands of objects. That’s how we make working conditions more favorable for Gurtam partners and at the same time don’t limit anyone in the competition methods. In case you have any questions, feel free to ask them in a special topic “Hot Line” and get a direct and detailed response in Gurtam Weblog!